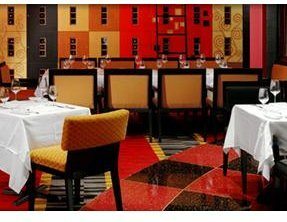 Located in the Fallsview Casino Resort on the Casino level, 17 Noir Restaurant offers spectacular dining options, all created by Executive Chef Ray Taylor. Recognized as the finest restaurant in Niagara, 17 Noir offers an award-winning wine cellar. The intimate setting is complimented by the spectacular view of the Falls, along with the roullette themed atmospshere, provide an experience of a lifetime. 17 Noir is in the Salon Privé and all guests must be 19 years of age or older to enter.